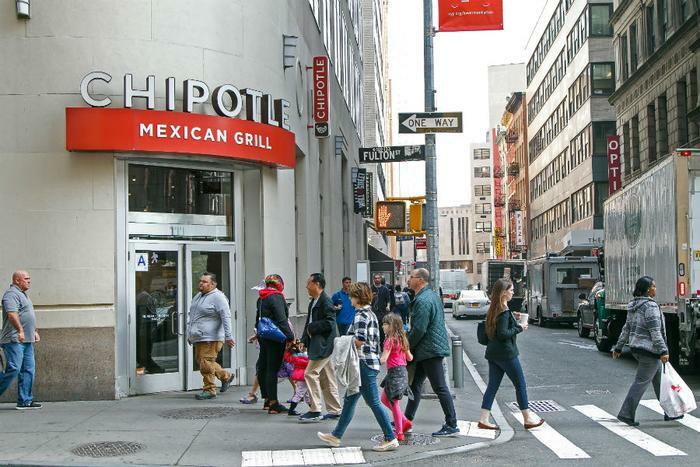 On Monday, Chipotle Mexican Grill announced that it had launched a loyalty program in three pilot markets: Phoenix, Kansas City, and Columbus. The burrito chain said its Chipotle Rewards program will be released to all U.S. consumers next year. Customers who order online or use the Chipotle app can earn 15 points for every $1 they spend, while those who order in the restaurant receive 10 points. Customers are eligible for a free entrée once they have earned 1,250 points through the program. Customers in the three cities in which the program is being piloted will also get free chips and guac after their first Chipotle Rewards order. The roll-out of the new loyalty program follows another foodborne illness outbreak at the chain, this time at one of the company’s restaurants in Powell, Ohio. Following the outbreak, which sickened nearly 650 people, all Chipotle employees are preparing to be retrained in food safety. Previously, the chain was rocked by two E. coli outbreaks in a total of 14 states, as well as norovirus outbreaks. Burt Flickinger III, managing director of the Strategic Resource Group, told USA Today that the new loyalty program is an attempt to target two different consumer groups. "It's trying to get existing customers to spend more," he said. "It's to get the people who lost faith in the company with really aggressive promotional pulses."